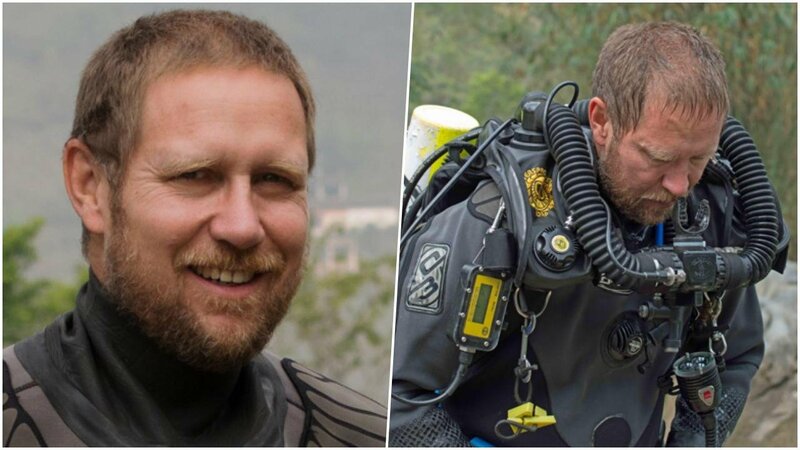 Britain's The Guardian newspaper reported that an experienced South Australian anaesthetist and diving expert was a key member of the team working to free the boys and their coach at the Tham Luang cave. Dr Richard Harris who had 30 years diving experience and has been involved in many rescues has been working with the Royal Thai Navy. He is attached to Medstar that is an arm of the South Australian ambulance service. He is reported to be involved in evaluating the condition of the boys among other duties. That story started out interesting. Maybe there's a part 2 ? He's the ideal person -- understands all the medical issues related to diving, including the risk of panicking, etc. Plus he's an anaesthetist and if anyone is best placed to help with a judicious bit of medication to help the boys stay calm on their journeys, it's him. These 12 Thai kids are incredibly lucky to have all this international help which most Thais could only dream of. I hope when theyre older they will respect farangs more so than their elders. Aha the neccesary part 2 as predicted. The man of the hour. It is wonderful to see so many great people pitching in. definitely Humanitarian Overseas Service Medal material! Considering that he was Seconded into this International Group Effort. Good boys in, bad boys out.....will this man get a lifetime visa for Thailand now? The Westerners who participate in this rescue deserve respect, there's no question about that, and they're receiving it from everyone, regardless of race or nationality. But 'farangs' as a whole ? Pray tell, what is there to respect, exactly ? Do you realize how incredibly colonial you sound when you demand that Thais respect 'farangs' just because ... ? What your acid little remark illustrates, and quite accurately, is the problem of expats' attitude here, especially their insufferable feeling of entitlement : "How come these people, for whom I have absolutely no respect, do not respect me, the white conqueror and owner of the world?" And before anyone tells me that not all farangs are like that here, I'll say that yes, I know : it's only about 8 out of 10, so yes I'm generalizing... with due cause. Actually they are all hero's to me, Thai or Farang. It is with pride and joy to read that foreign professionals are actual participant in the decision making process. A great example of people from around the world joining together to help others. Credit to all of them, from the professional divers to the ladies and gents that dish out the food to the medical professionals ... I’ve been to Mae Sai several times, and used to walk past the Chiang Rai city hospital daily ... I never thought for a second those places would be the focus of the world media. Hope to see more wild boars out tonight ... and especially the coach who by all accounts is struggling health wise.